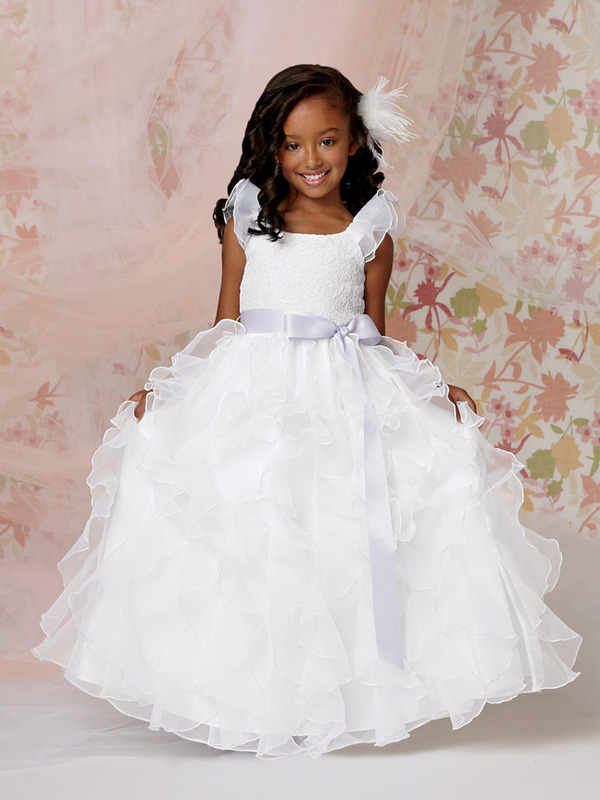 Shown in White/Lilac Ribbon�Lace bodice with organza ruffle sleeve and flounced skirt. Separate ribbon sash. Available in ankle and floor lengths. Available in any combination of two colors.